What better way to show your love for the occasional day drinking bender than the I Love Day Drinking t-shirt from Guerrilla Tees? Its simple message and clean design make it a great choice for enjoying the St Patrick’s Day festivities, conversing with random drunks or just sipping a cold one at home on a Saturday afternoon. 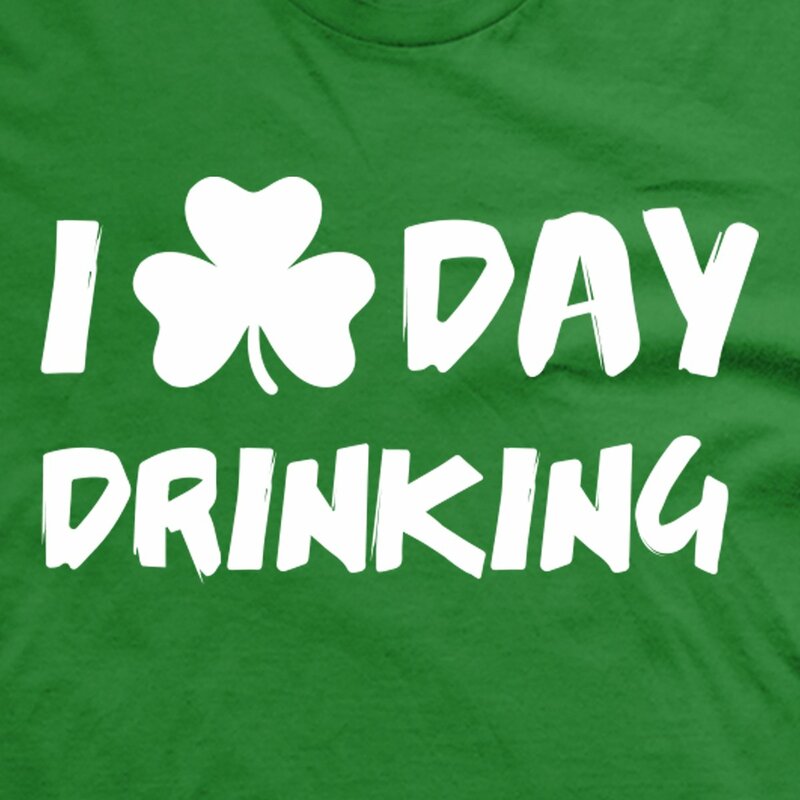 Like many of our other popular St Patrick’s Day graphic tees, this one comes in Emerald green with bright, easy to read graphics and a little Shamrock thrown in for good luck. See Our Full Collection of Funny St Patrick's Day T-shirts! 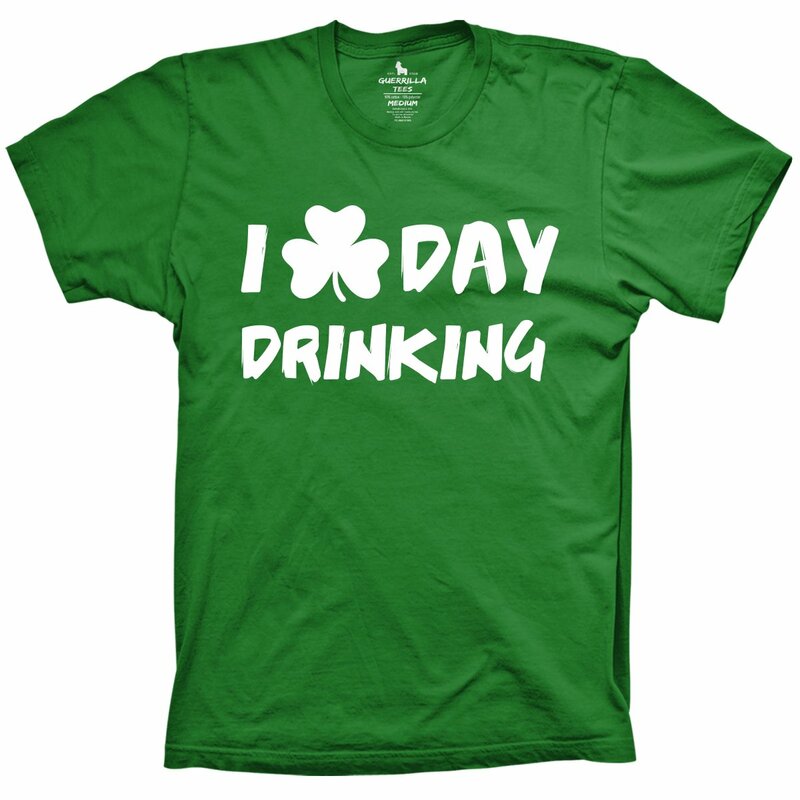 Guerrilla Tees has one of the best collections of hilarious Irish drinking shirts perfect for celebrating St Patty’s Day or any time of year, see them all for more designs and ideas!